The Office of Civil Rights (OCR) has taken the first step in the next round of HIPAA audits. OCR has begun to send out surveys in order to collect information from providers, health plans, and clearinghouses in preparation for phase 2 of their HIPAA audits. From the hundreds of entities receiving surveys, OCR will select over 200 providers and over 100 health plans to be audited. 1. When was the last time you conducted a Risk Assessment? If it has been more than a year or two, you should conduct a comprehensive Risk Assessment now. 2. Have you recently reviewed your HIPAA policies and procedures to ensure that they are up to date and are being followed? There are three main areas that need to be addressed in your policies: Security Standards, Privacy Standards and Breach Notification Standards. Security Standards – focus on how you keep Protected Health Information (PHI) secure, whether it is stored and/transmitted electronically or in some other form. Your practice must have appropriate safeguards in place (for example, requiring the use of secure passwords to access electronic health records and encrypting all devices that might contain e-PHI). Privacy Standards – do you conduct periodic trainings for personnel regarding privacy practices? Do you have records that such trainings have been completed by all personnel? Is your Notice of Privacy Practices current and made available to your patients? Breach Notification Standards – do you have a policy in place that outlines the steps for identifying and reporting a breach? Such a policy should address steps to take to investigate and contain the problem, as well as a means for identifying how many people were affected, who those individuals are, and how to send out breach notices. Keep in mind that under the Breach Notification Rule, providers must provide notice of a breach within a certain time frame. Your procedures for responding to a breach should allow for adequate time to meet this deadline. 3. Keeping track of your Business Associates and Business Associate Agreements – During the audit process OCR might ask for a list of business associates and their contact information. All providers should have this readily available. It is also important to have written Business Associate Agreements that are up to date and can be made available to OCR upon request. If you have any questions about any HIPAA requirements or the approaching OCR audits our attorneys can help. Please contact Danielle Hildebrand at dhildebrand@jeylaw.com. 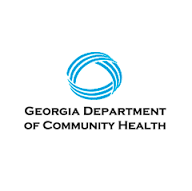 In a decision last week, the Office of State Administrative Hearings (OSAH) reversed the Department of Community Health’s (DCH) denial of a Request for Administrative Review by a group of Children Intervention Services (“CIS”) providers. The CIS providers had requested a review of recoupment actions that stemmed from two 2014 Mass Reprocessings by the Department, one involving NCCI edits that included claims dating back to 2010. The Department argued that the providers missed the 30 day deadline to file a Request for Administrative Review. Attorney Kimberly Sheridan of Jeyaram & Associates represented the group of CIS providers in the administrative hearing and argued that the providers should be granted a review because they followed all the instructions specific to the mass reprocessing posted by the Department in several banner messages and emails, as well as in-person conversations. Through the banner and email message instructions, the Department departed from its standard deadlines in its policy manuals. The Court found that the Department’s position was “illogical and wholly unfair,” and that its instructions to the providers after the mass reprocessing were “inconsistent and misleading.” The Court also said the providers had justifiably relied on these instructions and could not now be penalized for their reliance. At this time, the Department has not made it known if it will appeal the decision. If you are a provider subject to a recoupment and need help, or if you need to appeal DCH’s decisions, Jeyaram & Associates has extensive experience and success with these cases. Contact Kimberly Sheridan at ksheridan@Jeylaw.com or 678.325.3872. Last month, the Department of Health and Human Services released its annual report for the Health Care Fraud and Abuse Control Program. According to the report, in 2014 more than 900 new criminal health care fraud investigations were opened by the Department of Justice. There was a slight increase in the number of criminal cases and convictions from last year, with 496 cases and 735 defendants convicted of criminal health care fraud. Civil cases alone resulted in $2.3 Billion in settlements and judgments. The government’s press release reiterated that detecting and eliminating fraud and abuse continues to be a top priority. The government attributes its high recoveries to a change in strategy which uses real-time data analysis to detect fraud more quickly. The Centers for Medicare and Medicaid currently uses advanced analytics on Medicare fee-for-service claims. 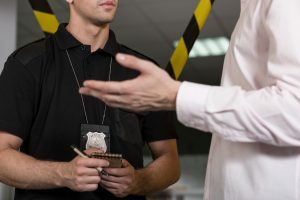 The goal of this is to detect aberrant and suspicious billing patterns which would then trigger an investigation or enforcement action by the government. Now is the time to for Medicare and Medicaid providers to review their billing practices and financial relationships to ensure that they are compliant with federal laws. Charges against providers were made under the False Claims Act, as well as Anti-Kickback Statute, the Stark Law (Physician Self-Referral Law), and other federal laws. The full annual report is available at www.oig.hhs.gov/publications/hcfac.asp. If you have any questions about the legality of your billing practices or financial relationships, please contact DJ Jeyaram at DJ@jeylaw.com or Danielle Hildebrand at dhildebrand@jeylaw.com. More Providers Audited for HIPAA Compliance – Are You Ready? The number of entities audited for HIPAA compliance has increased. Are you prepared if OCR comes knocking on your door? Under the HITECH Act, the Department of Health and Human Services is required to conduct periodic audits to ensure that entities are complying with HIPAA. Phase 1 audits concluded in 2012. Now OCR has released information on Phase 2 and more audits are set to begin around October of this year. HIPAA Covered Entities and Business Associates selected for audits will be asked to quickly produce policies and procedures, executed business associate agreements and other HIPAA-related documentation so that it can be reviewed by OCR to determine if any deficiencies exist. OCR has noted that it intends to focus on the deficiencies identified through Phase 1 audits. These include lack of proper policies and procedures, presence of security risks, failing to conduct a security risk assessment, and failing to have business associate agreements on file. Small providers should also take note—according to OCR, small providers tended to have more deficiencies than larger providers. 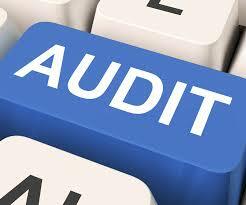 OCR has also revealed other details regarding the 2nd audits, OCR will be conducting the audits internally. They have also increased the number of entities to be audited to 400 entities, 350 of which will be Covered Entities and the remaining 50 will be Business Associates. Some of the audits will focus on the Privacy Rule, others on the Breach Notification Rule, and the remainder will focus on compliance with the Security Rule.